Dear Sharks Members, We will be holding our Annual General Meeting, at SnoZone, Castleford on Saturday 13th June at 11:30 until 12:30. 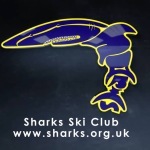 This will be an opportunity for Club Members to hear an Update from Sharks Ski Club over the last 12 months, receive the Club Accounts, and Elect the Officers of the Club. Race Manager, Freestyle Rep, Child Welfare Officers x2, Awards, Communications, Clothing & Graphic Design. We do have a vacancy for an elected committee member, but members are encouraged to stand for any of the positions above. If you would like to stand then please send your Nominations to me by email to r.slater@me.com by 6th of June please.